The perfect 45 minute program to welcome your child to the art of dance. This class is comprised of fun filled songs that introduce your child to Tap and Ballet. Not only is this class the perfect “introduction” into the world of dance, it also develops socialization skills, listening skills, independence, and also helps with parent/child separation. Ballet is the foundation of all dance and is highly recommended as a fundamental study and compliment for all styles of dance. It will maximize technique and longevity in a career of dance. All dancers are taught proper dance terminology and technique that is both age and level appropriate. Our Ballet classes further develop grace, poise, flexibility, articulation and performance. A more advanced form of Ballet, utilizing pointe shoes. This Class is based upon teacher discretion. Students must have a strong dance background. Modern class will incorporate many of the foundations of modern dance technique, including suspension and release, fall and recovery, the use of momentum and connecting breath with movement. Dancers will explore new ways of moving in combinations, floor work and partnering, and also in various methods of improvisation. A one hour class consisting of Jazz and Lyrical technique. Jazz is an exploration of style and presentation. 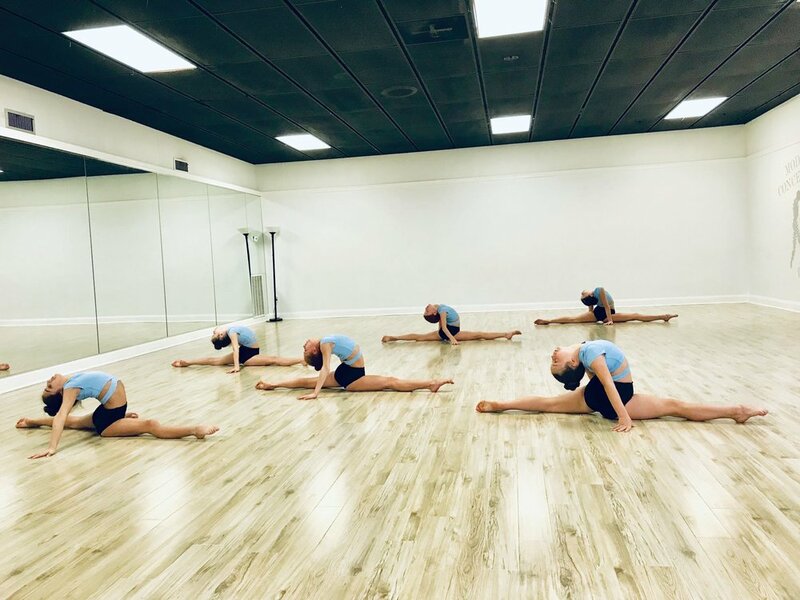 Classes emphasize musicality and body alignment, conditioning, stretch and strengthening, rhythm and stylization as well as fun and innovative choreography. Lyrical combines technical components of ballet with the freedom and fluidity of jazz. Lyrical is an expressive style of dance that allows the dancer to interpret and express the emotions, lyrics and story associated with a piece of music.This class includes a proper warm-up, stretches, isolations and across-the-floor progressions. Tap is a classic form of dance that not only involves how one looks while dancing, but also how one sounds. Tap is a fun, upbeat, rhythmic style of dance that allows the dancer to develop their coordination, balance, rhythm and musicality. Tumbling is centered on fundamental acrobatic technique to increase flexibility, strength, balance, coordination, endurance, timing, body awareness, self-discipline, and confidence. Classes focus on proper hand placement and body alignment with emphasis on the muscles and flexibility required to perform proper technique.